Probably you're scratching your head of how to write a price negotiation letter, since you’ve been hit by a price quote from your supplier that is higher than your budget. In this article you will find 2 actual examples of how NOT to write a negotiation letter, followed by an example of how the letter should be written. 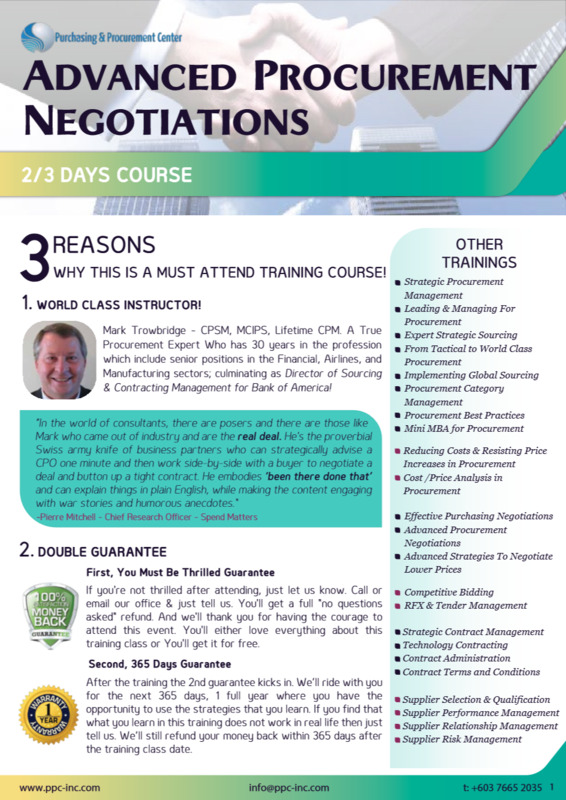 Finally we dissect the letter to 6 steps that you can use in the future for all your price negotiations. Thank you for your proposal. Our company reviews your bid and found high. Therefore, you are requested to submit a revised bid. The payment will be in accordance with the Contract Terms & Conditions as stated in Paragraph 2 of Schedule B. Moreover, please be advised if you have any inquiry or question, send it by e-mail no later than October 21. Please be advised that our offer is $175,500 (your bid – 10%). Kindly be advised that we need your reply by Monday October 25. Again this email received a similar reply to the previous one, with the end result that the supplier got the contract at the quoted price. 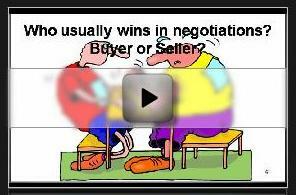 Let’s write now a price negotiation letter that is more effective for price negotiations. Thank you for your proposal. We sincerely appreciate the effort that you have put in submitting such a comprehensive proposal for our company. We do understand that you would have spend considerable time and resources to come up with this proposal which outlines in details how you are going to provide what we need. I and my team reviewed the whole proposal in detail, and overall we are happy with it. At the same time there’s one fundamental issue which will probably stop us from giving this contract to you. Our Vice President has given us a specific budget for this contract. He also has instructed our contracts team to get another 3 quotes from other suppliers, with a view to have a competitive pricing quoted. On my side I managed to convince him that we should hold on from getting quotes from other suppliers, since in the past you have done a very good job. I promised him that we are going to get this contract within the budget that he gave. He agreed to this, but if we cannot get your proposed price within our budget, then we would have to open this to another 3 suppliers. Again I personally would love to have you as our supplier. But to do this we would need your price to better than what you have quoted in your initial proposal. Your price should be 9% lower at a final price of USD 177,500. If you cannot offer this price, I’m afraid that we would have to look at getting other suppliers for this job. Again I hope and trust to get your acceptance of this offer from our side. I trust you understand that in the past we have been loyal clients to you and I am sure that in the future your flexibility in your offer should result in future work for you and your organization. Looking forward to hearing from you by 27 October. Let’s quickly dissect the letter written above, so that you have a template for writing future letters. Have a positive, polite & professional tone throughout the letter. The whole letter is positive and professional. 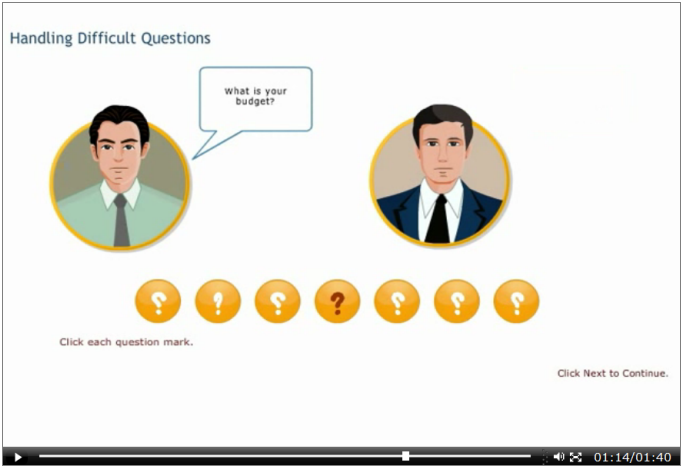 If the vendor cannot accommodate the discount asked by the client, then the client nicely outlines the possible course of action he needs to take. The first 3 paragraphs of this letter do exactly that, by praising the vendor for the comprehensive proposal. This is highlighted in the second part of the letter above where we outline the Vice President’s budget cap, how the Contracts Specialist would like to work with the supplier etc. Here usually some suppliers would make up many stories. However it’s best to simply tell the truth and leave the ‘tales’ out of such letters. When you ask for a discount always go on the odd numbers, 3, 6, 7, 9 % and so on. Never ask for 5/10/15 % and so on. When you ask for an odd number it shows that you have carefully evaluated the proposal of the supplier and considered your budget. If your industry operates on low margins it would be fine to go on 2.5%, 3.5% and so on. 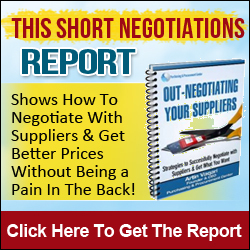 Let the supplier Know what would happen if he will not negotiate on price. In our case we mentioned that we would have to open this to another 3 suppliers. State past business given to the supplier & possible future business. Be careful that when you indicate the prospect for future business you are non-committal as you do not know whether you will be able to give future business or not. Whenever in doubt, simply refer to past business as a possible trend for future business. 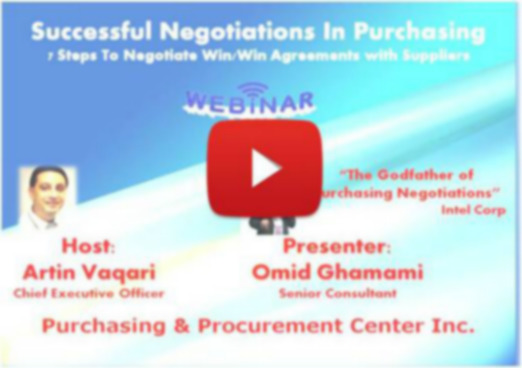 If you liked what you read so far, you're really, really going to enjoy the free Online Class/Webinar Successful Negotiations in Purchasing, because this webinar shows a 7 step process that drives towards becoming a true pro in purchasing negotiations by negotiating more than just price with suppliers without being a pain in the back! Register for free for this Online Class/Webinar here. Or, find out more info about Purchasing & Procurement Management & Strategies.